A free film series is a great thing, so I don't know why I rarely get out to the Tuesday-night showings at Burlington's Main Street Landing. Last week, though, I drove downtown to watch David Lean's 1946 version of Great Expectations, a film I'd never seen before. I recall my grad-school friend Mike once saying, after we'd watched some particularly grim drama of the "Kitchen Sink" school of filmmaking, that he was pretty well done with British films. And I knew what he meant: Many British films seem a little colorless and boring — though perhaps only to jaded American eyes. But those descriptors don't fit Great Expectations at all. I have not read Charles Dickens' novel, so I can't assess the accuracy of the claim that Lean does the best possible job of condensing the long, complex narrative into a two-hour film. But the film's story is engaging and lively enough to keep anyone riveted. More interesting to me is that Great Expectations is visually impressive. I don't put much stock in the Academy Awards, but it seems like this film's Oscars for art direction (black and white) and cinematography (black and white) were well deserved. Granted, David Lean is a gem in British filmmaking, so using him as an example of nonboring British cinema is a bit disingenuous. But I think it's worth considering the notion of nationality as it pertains to film. It's one of those orthodoxies that we all sort of accept without question. I'm guilty of it myself, in that I've taught college courses on Japanese and Hong Kong film, which by their very existence assume a fundamental kinship between films produced within a single nation. Upon further study, though, the notion of "national cinema" seems to fall apart. What does it mean for a film to be (in this case) British? With Great Expectations, the answer is unproblematic. Nearly all of its cast and crew were British, and it was made by a British company for release in the United Kingdom. Inasmuch as the nationalities of a film's key creative personnel (and the distribution company's nation of origin) may be said to "transfer" to the film itself, Great Expectations is 100 percent British. Francis L. Sullivan, as the lawyer Jagger, stole the film for me. Not easy when one of the costars is Alec Guinness. In a much deeper way, though, the film is resolutely American. This has nothing to do with the fact that Great Expectations was distributed in the U.S. by Universal Pictures, during which process it was likely altered in some small ways before reaching its widest audience. The film is American at a kind of "cinematic/genetic" level. At no point in Great Expectations (nor, I'd wager, in any of his 15 or so other films) does Lean deviate from the guidelines of that most influential American cinematic invention: the continuity editing system. This coalesced over the first couple of decades of filmmaking in the U.S. and became the baseline method for communicating visual narratives. I haven't the space to fully explain the continuity editing system here (this Wikipedia article is a solid introduction). Suffice it to say that its purpose is to "smooth over" the gaps between cuts with a number of devices that make space and time seem continuous to the viewer. It's a way of "stitching back together" a film's story from the hundreds or even thousands of shots that comprise it. Why has the continuity system become the dominant template for cinematic storytelling? The reasons are historical and economic: After the mid-1910s (before which the French film industry was the world's most successful), the American film industry became the most far-reaching and profitable, as it has remained. Early on, Hollywood studios established outposts in many other countries and screened their films around the world. In nations that had not yet developed their own cinematic traditions, the first films seen by its moviegoers were almost certainly American. As a result, the first, second and subsequent generations of filmmakers in most countries used Hollywood films as their templates for visual storytelling — and in most cases adopted the continuity editing system. Even filmmaking traditions defined by their rejection of Hollywood style were responding to it by the very act of rejection. Great Britain has always been one of the biggest foreign markets for American films, not just because no subtitles are required but because of the strong economic ties between the two countries. Most mainstream British films — as well as most films from other nations — use the continuity editing system. Great Expectations abides by it rigorously. Does that make it an American film? No. I'm not denying the existence of indigenous filmmaking traditions. But I am suggesting that analyses made on the basis of cinematic "nationality" are not always relevant. Other factors — including the continuity editing system — often have greater explanatory power. 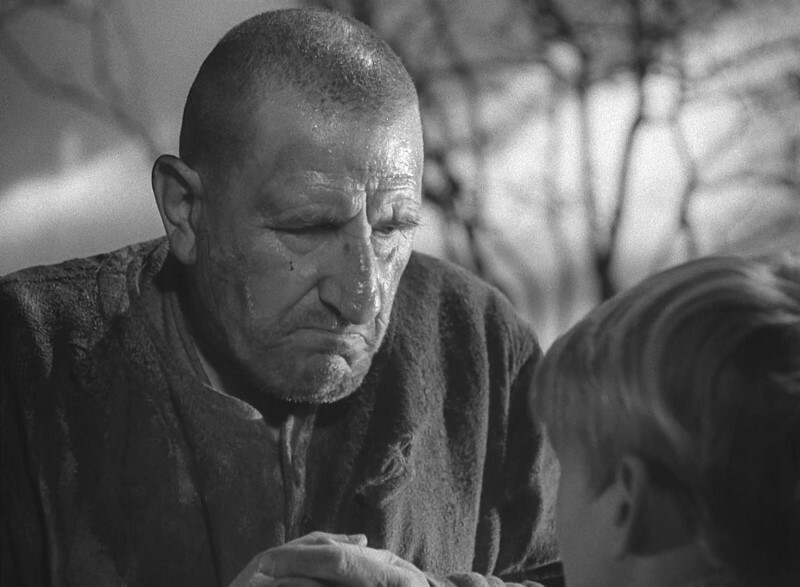 You can watch Great Expectations online, legally and for free, via the Internet Archive. I recommend that you do.